In this multipart video tutorial series, you'll learn how to get more done. We'll cover the basics such as how to open and view keynote presentations and how to rotate text and shapes. We'll also tackle some more advanced topics such as how to use Keynote Instant Alpha and how to add animated GIFs. If you want to learn how to use Apple Keynote quickly, we've got you covered. These quick video tutorials cover a variety of Keynote features, yet each video is only 60 seconds long. These are perfect if you need to learn Keynote or refresh your skills, but you're on a tight schedule. Follow along as the instructor walks you through various Keynote tasks in each video. You can progress through the entire series of tutorials for a more complete learning experience, or pick and choose those tutorials that interest you the most. If you liked this series, you may also like our comprehensive beginner tutorials on how to use Apple Keynote. Note: Be sure bookmark this Apple Keynote video tutorial guide so you can through these tutorials at your own pace. Keep in mind, each Keynote tool you become familiar with brings you that much closer to creating powerful and engaging Keynote presentations. So, why not take a short break and watch one or more of these today? 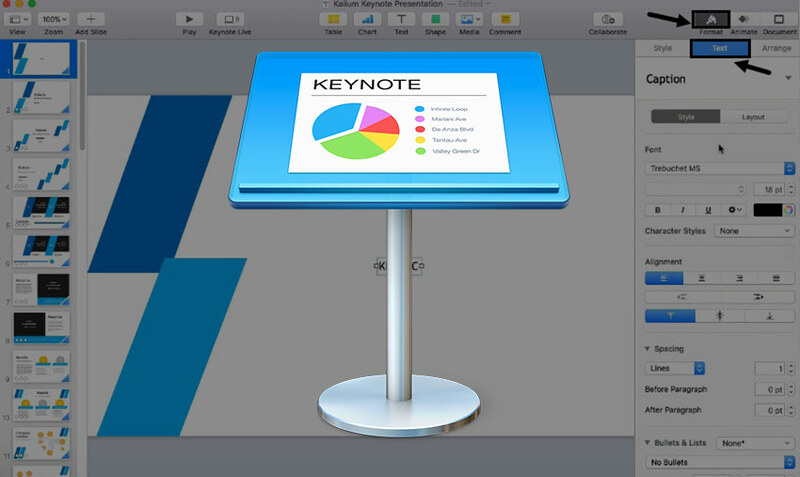 The Keynote Presenter view can help your presentation go smoothly. Learn how to view presenter notes in Keynote in this short video and tutorial. Using the Keynotes Presenter Notes feature can save you time. Learn how to add notes in Keynote quickly in this short video and tutorial. Learn how to make a hyperlink in Keynote with this short video and tutorial. Keynote hyperlinks will help your viewer navigate to another online location. Learn how to convert Keynote to PowerPoint and how to open Keynote files on a PC quickly in this video tutorial. Do you need to change the Keynote themes for your presentations? Learn how to change a Keynote custom theme in this short video and tutorial. Learn how to quickly customize Keynote animations in this short video and complementary written tutorial. If you make presentations, you can learn how to embed a YouTube video in Keynote quickly with this video and short tutorial. Keynote GIFs are a great way to add interest to your presentation. Learn how to add animation in Keynote using GIFs with this short video and tutorial. Did you ever wonder how to use Instant Alpha in Keynote? Instant Alpha let's you remove the background from an image you're using. Do you need to share your Keynote presentation through social media or email? Learn how quickly and easily in this short tutorial plus video. Do you need to know how to rotate text in Keynote? Use this short video with written tutorial to learn how to rotate text and shapes. Learn how to hide slides in Keynote and how to delete a slide in Keynote with this short video tutorial. Learn how to use kinetic typography in Keynote presentation software in this short video with accompanying written tutorial.